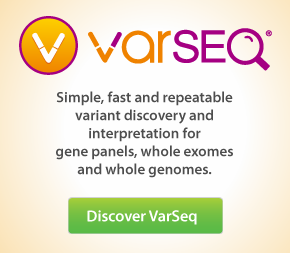 VarSeq ® software supports both trio and gene panel variant filtering workflows. This tutorial focuses on a cancer gene panel workflow to highlight and demonstrate ways that the filter chain can be used. This tutorial will start with creating a new project from an empty project template, importing data, creating a filter chain and adding additional annotation sources. The end result will be a new project template that can be used to create new projects in the future. Three VCF files are contained in the ZIP file that accompanies this project. They are three replicated samples at different percentages of Horizon Dx known somatic mutations with NA12877 from the Illumina TruSight Myeloid Sequencing Panel. The replicates increase in dilution: 10%, 25% and 50%. After the ZIP file has been downloaded, extract the contents to a convenient location.